This battery-operated outdoor camera keeps on ticking, even in rain and snow. 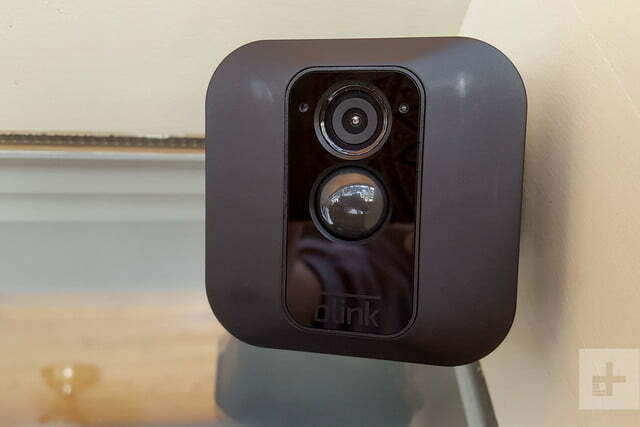 Blink, founded in 2008 and now under the umbrella of Amazon, has carved out space in the home security category with small, battery-operated cameras that you can put indoors or outdoors. 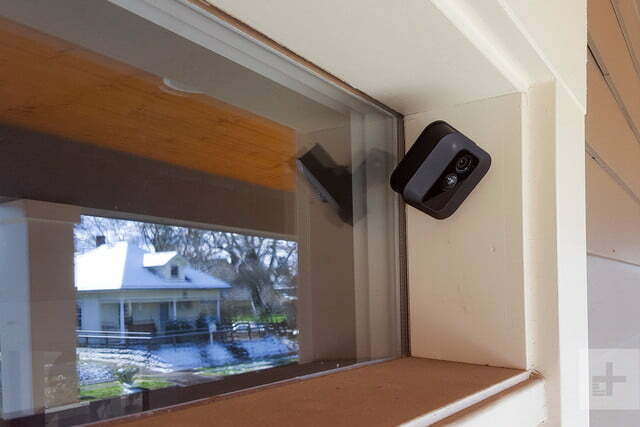 They have their limitations, but depending on what you’re looking for, their cameras could be a great fit for your home, especially if you’re just getting started with home security products. 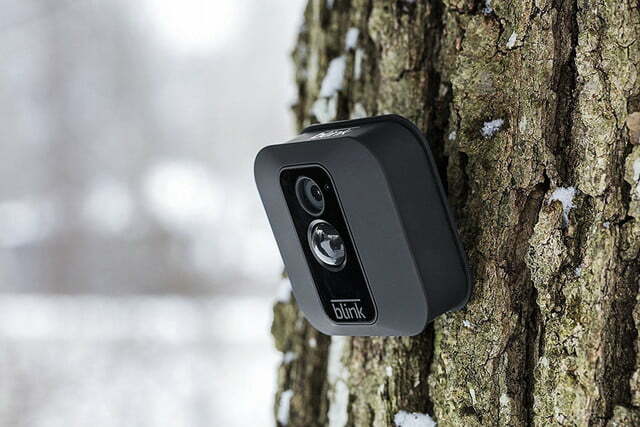 The Blink XT camera ($130 on Amazon for a single camera and cloud storage) is Blink’s battery operated outdoor camera. So how does it measure up against the Arlo Pro 2s of the world? Read on to find out. The Blink XT comes in a simple box with simple packaging. In the box you’ll find the camera, a cloud storage hub called the Sync Module, a USB cable and power adapter for the Sync Module, two AA lithium batteries to power the camera, a security sticker, a user guide, and hardware that includes a mount, screws, and adhesive strips. Rain flew in sideways, and temperatures dropped into the 20s, yet the camera worked without issue. The camera is a small square, measuring about three inches by three inches, with the lenses in the middle. It’s very lightweight. It has a resolution of 720p and can capture 7.5 frames per second in low lighting, and up to 35 frames per second in good lighting. 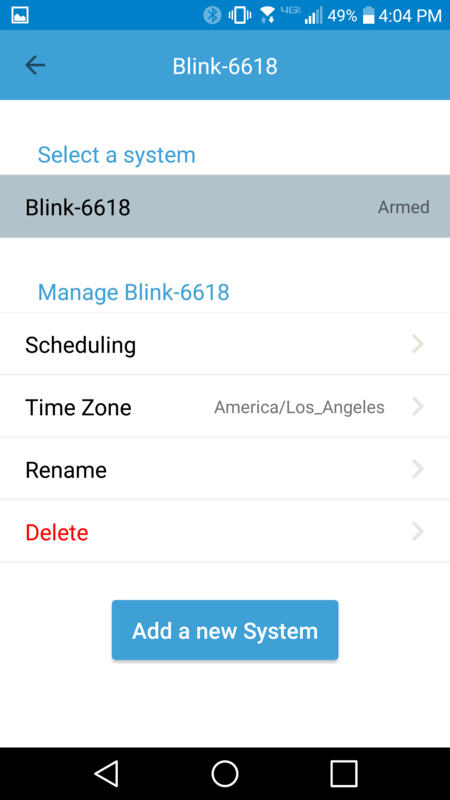 The Blink XT works with the Blink app for either Android or iOS. Once you’ve downloaded the app, you can name your camera, receive alerts of movement detected, watch videos, and more. You can also watch live footage and customize your configurations in the app, such as how sensitive you want the motion activation to be, or how long you want your video clips to be. We quickly and easily mounted it above our front door facing the porch, our driveway, and the street. In all, set-up was about as easy as it gets, as it took about 10 minutes to mount and position the camera, and get it connected to the Sync Module. Be sure to connect your camera to the app before you mount it, as you need to input the serial number located on the device before you can connect. The camera is built for the outdoors, so it’s supposed to withstand rain, snow, and temperatures ranging from -4 degrees to 113 degree Fahrenheit. We had it in a covered area where rain flew in sideways from time to time, and temperatures dropped into the 20s, yet the camera worked without issue. It’s good the motion detection was reliable, because the device only records when it detects movement. Those recordings are called “Motion Clips,” and are viewable via the app. 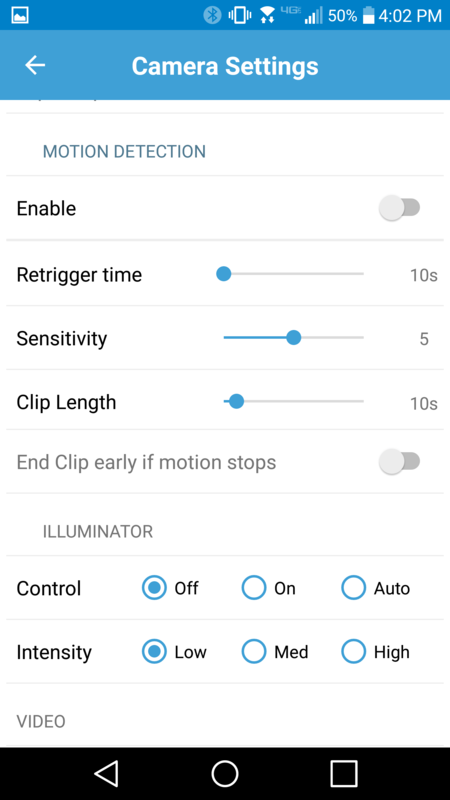 You can customize how long you want the clips to be once motion is detected, and it will continue to record if it continues to detect movement. You can always view live action through the app, but you can’t record live action while watching it. Not having to pay for access to your own video footage is a great perk. This is where the ease of a cordless, battery powered device comes in. You can put it anywhere, even your forested backyard, in case you want to track Bigfoot. Once you connect to the app, control of the camera is simple. The app is laid out in an organized fashion. 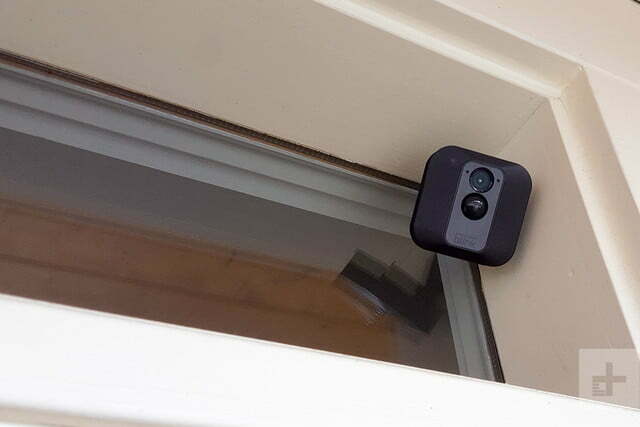 You can control just about everything – from how sensitive you want the camera’s motion detection sensor to be to whether you want to arm or disarm your camera at certain times. You can name devices, add additional Blink cameras (up to 10), and see low battery warnings. Multiple users can download the app and access information for your camera, so if you want your roommate or partner to have access, you can provide them the camera’s login information. When we first reviewed the Blink XT camera, Amazon Alexa capabilities were limited to being able to tell Alexa to arm or disarm the camera only, despite the fact that Amazon owns Blink. We’re happy to report that that has changed. If you have an Echo Show or Echo Spot device, you can now view video clips and get a live view from Blink cameras. For example, in our test house we can view live footage from our Blink XT camera on the front porch on our Amazon Show. In January 2019, Blink introduced “Activity Zones” on its XT camera, meaning that you can block out certain areas of the camera where you don’t want to get motion alerts. If you’re seeking a camera with crystal clear imagery and resolution, this is not the camera for you. Night video, especially, doesn’t offer much clarity. The video is fuzzy even with porch lights on. The daytime image quality of the Blink XT — especially in bright sunlight — will give you what you need. There’s a bit of a keyhole distortion with the image, but it’s still clear enough to see what’s happening outside your home. Night vision is not spectacular, but good enough to tell you if it’s your mother or a stranger at the door (unless your mother is a stranger to you. In that case, you’re out of luck). If you’re looking for a crisper, clearer image, you might want to look to the Ring Spotlight Cam or the aforementioned Arlo Pro 2 or Nest Cam outdoor instead. 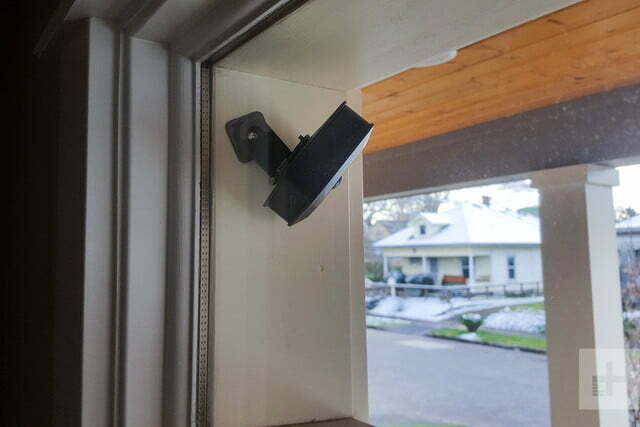 Furthermore, the camera does not feature a siren or two-way communication, meaning that you won’t be able to communicate with a porch pirate or sound an alarm if something is wrong. While you can do a lot with the app, don’t expect to be able to use it as a remote to zoom in on a potential bad guy lurking across the street. Unlike the Arlo Pro 2, which allows you to zoom a live stream using a pinching movement on your phone, there are no zoom capabilities on Blink XT, nor can you pan left or right. The mount has a little bit of flexibility but not much, so if you want to change the angle you’ll have to do it manually. That can be a challenge if you’ve already screwed in the base and find later that you need to move it. This lightweight, battery operated camera is a great starter device for those seeking some additional security for their home. The fact that storage is free is a huge bonus. This could be a great device for renters who don’t want to bother with a significant amount of setup but would like some peace of mind. Just remember this is a basic, inexpensive outdoor camera. It depends on what you’re looking for. 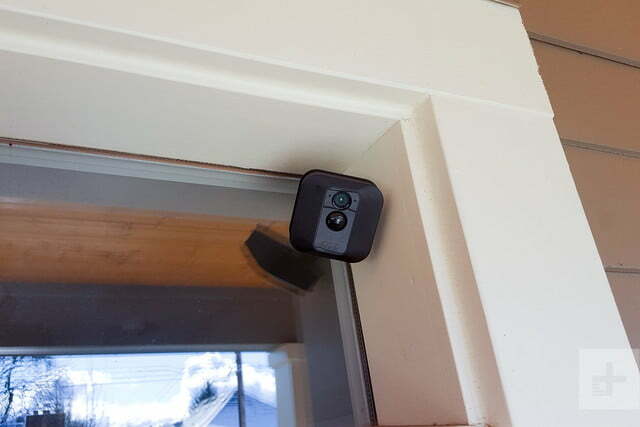 If you need a fully integrated smart home camera with lots of bells and whistles, you might want to go with the Netgear Arlo Pro 2, or one of Ring’s many cameras featuring a floodlight and siren. If you want a truly inexpensive camera, you could shoot for the $80 Swann Outdoor camera, though that option isn’t wireless. There are a few reasons we think Blink has a strong future. 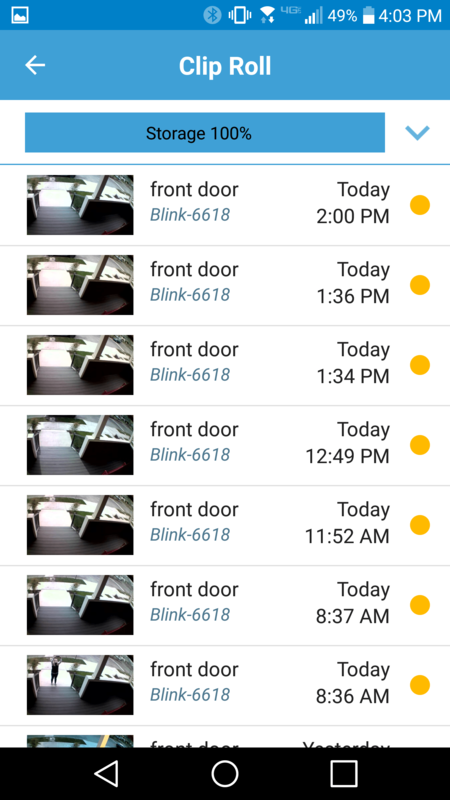 First is our own experience: Our two indoor Blink cameras in one of our test homes have continued to work for more than two years without so much as a battery change. Second, as we mentioned, Blink was acquired by Amazon, and since our initial review, deeper integrations between the two companies have been introduced. 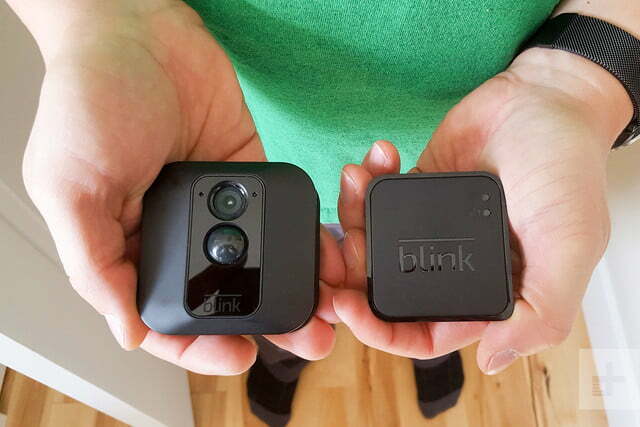 We think Blink is here to stay and will continue to offer affordable home security products. If you’re seeking an affordable, no frills, battery powered camera with free cloud storage, then buy the Blink XT camera. If you’re looking for a camera with more smart home integration, higher image quality and panning and zooming ability, go elsewhere. 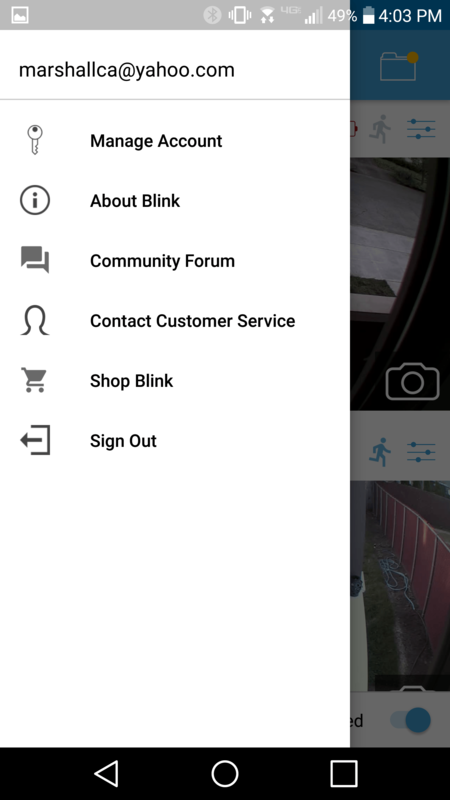 Updated February 2, 2019 to note that Blink has introduced “Activity Zones” to their cameras.